DIANA RUDOLPH AND JERRY SIEM REMEMBER the last time they remodeled a home together. It was a little fly-fishing cabin on the Jefferson River, a traditional log structure with rooms added on over time. The couple spent a summer fixing it up, using a power drill to make repairs on what Siem calls probably the worst Home Depot remodel ever. “We textured with mosquitoes,” he said, laughing. About five years later, the couple have completed another project, but this time there were no trips to Home Depot, and the finished house includes a covered porch to keep out the mosquitoes. 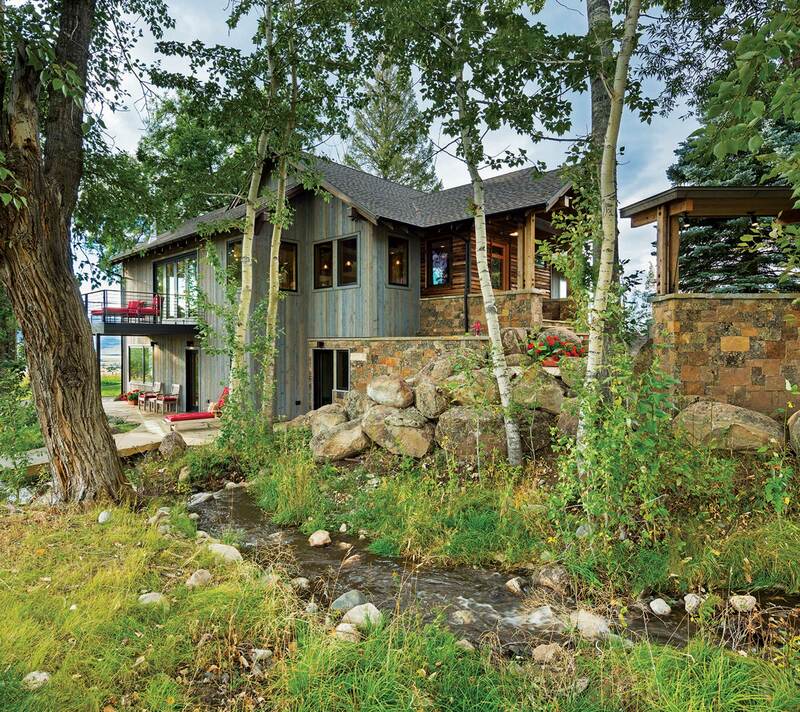 Siem and Rudolph are expert fly fishers, and they chose to settle near the banks of the Yellowstone River in a home they designed to honor the region and its history. Rudolph purchased the property in 2007 and moved into the former farmhouse that also served as a fishing cabin for guides bringing clients to the longest undammed river in the lower 48. After purchasing the home, she lived there for seven years before deciding to rebuild. The farmhouse, “somewhere you’d expect to visit your grandma,” was built in the 1920s. The home sits near a creek that waxes and wanes with the seasons, as it works its way down the valley to join the Yellowstone. Cottonwood trees line the riverbank and are visible from the home, which seems sheltered by the sharp figure of Black Mountain rising behind it. Neighbor’s cows graze nearby. Deer are so prevalent they “practically walk through the house,” and during construction a sow and her two cubs slept on the property. They’ve watched golden eagles and kestrels, and a visiting fox once observed the view from their deck. Siem is a chief rod designer for Sage, and one of the foremost fly casters in the nation. He even owns the honor of making Brad Pitt look good, as a consultant and stand-in caster for the movie A River Runs Through It. Somewhere along those waterways he met Rudolph, who was introduced to the sport of fishing by her father at age 5. Given that choice, Rudolph decided to make a life of it. 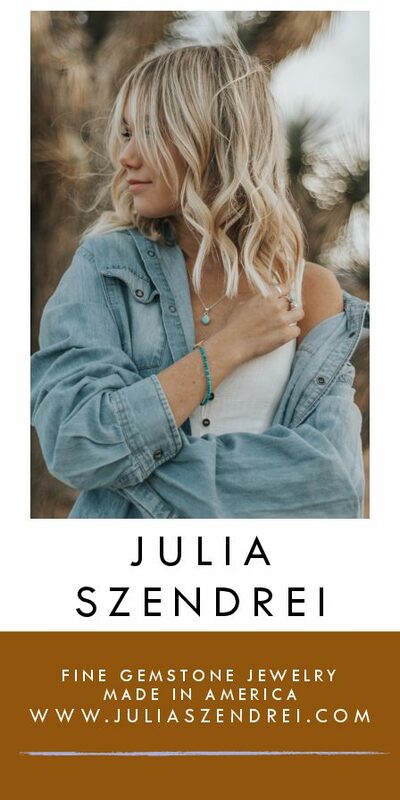 She earned a master’s degree in marine biology, has guided and offered casting lessons, and has co-hosted a fishing program on the Sportsman’s Channel. Rudolph is the only woman to ever win the prestigious Don Hawley Invitational Tarpon Tournament, and has broken a handful of fishing world records. Siem and Rudolph wanted their new residence to reflect their appreciation for the valley and the river. They sought a home that was comfortable, modest, and a fit for their active lifestyle, and chose architect Andrew Brechbuhler of Brechbuhler Architects for that task. 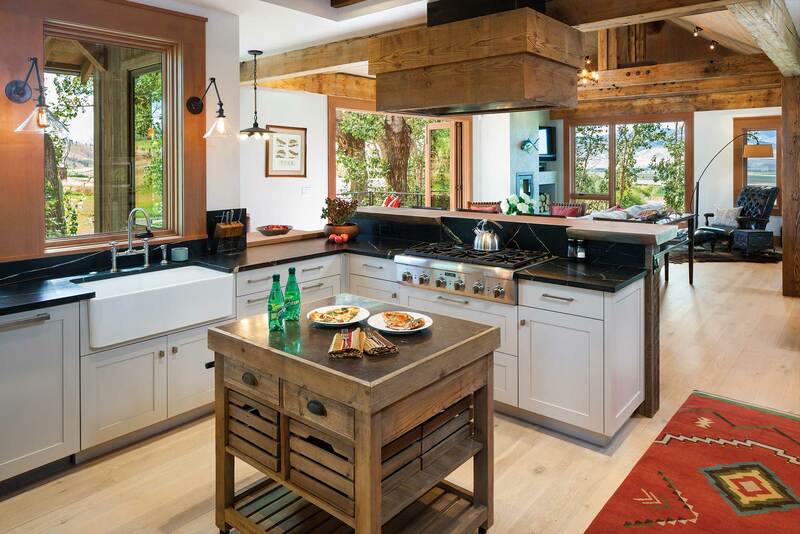 Dovetail Construction, led by Tim Rote and Kevin Sullivan, built the home. 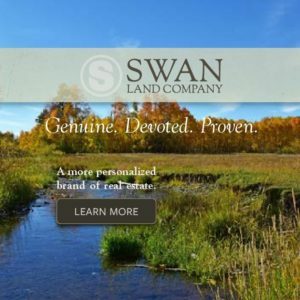 “All the Dovetail guys are avid fly fishermen, and so we all thought, ‘We can’t mess this up, we’re building for celebrities here,’” Rote said, laughing. The four-bedroom and four-and-a-half-bath home was completed in April 2015. The footprint of the home remained essentially the same, but now there is an open floor plan that flows from the kitchen to the living and dining rooms, extending outdoors through a covered porch. 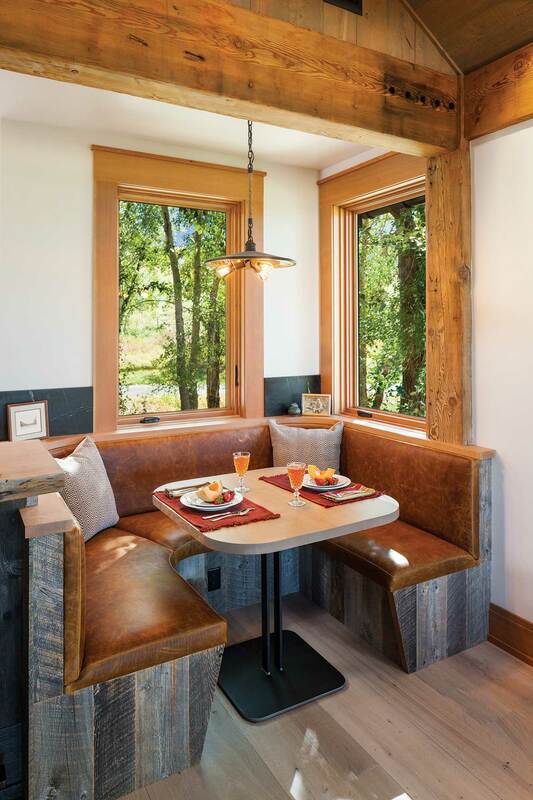 Large windows positioned throughout the home frame views of the Gallatin and Absaroka mountains. The original 1920’s farmhouse was built from a collection of other structures, its siding a mix of wood planks covered in vinyl. 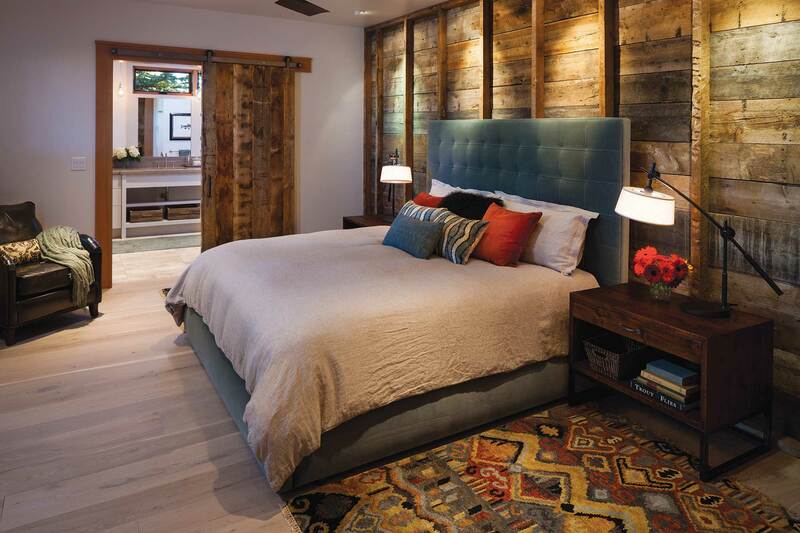 Care was taken to preserve those planks, and they now cover a wall in the master bedroom. 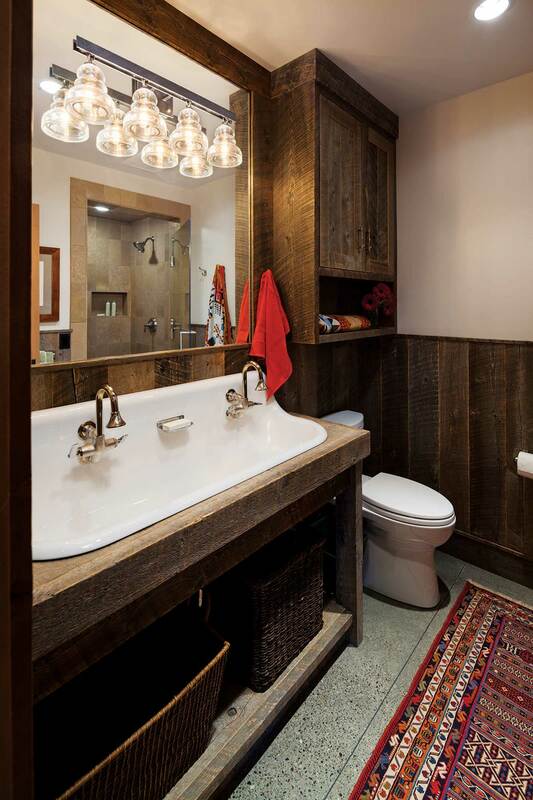 Additional reclaimed wood was also incorporated in the new home. The home’s interiors were designed by Laura Fedro, of Laura Fedro Interiors, who was happy to integrate pieces from the homeowners’ residence in Washington. “You want it to feel like your house, not like you are living in someone’s furniture showroom,” she said, noting how personal the design process is and how important it is to connect with her clients. “They had a vision and they saw our personalities as well as the old house’s personality and it all came together beautifully,” Rudolph said. A rod barn was built near the home so that Siem could work full time nearby. In that space, he invents new concepts for Sage rods of various lengths, widths, and flexibilities. “I can step outside and in my mind I can be trout fishing or tarpon fishing,” he said. The structure is divided between his workspace and a large garage for storage, and for the drift boat to live in during the winter months. Between the rod barn and the home is an additional chinked barn that now serves as a space for entertaining. One can picture the garage doors rolling up and a band playing in the summertime. The kitchen, where the homeowners spend most of their time, is open to the great room, allowing conversations to flow freely across the space. The design team worked together to remove the old farmhouse and modernize the foundation, which had previously flooded and was sheltering “a pretty hardy mouse population,” according to Rudolph. The home’s footprint remained essentially the same even while the flow and functionality were substantially improved. 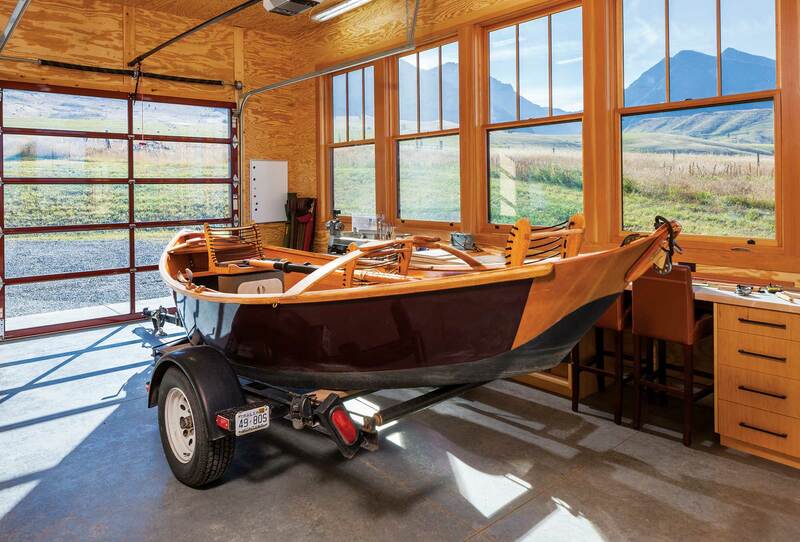 Half of the rod barn hosts the homeowners’ drift boat. 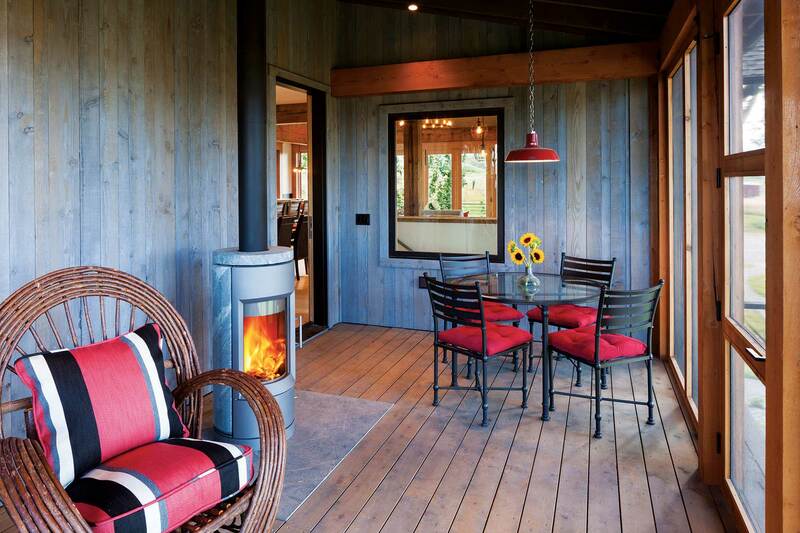 The barn was designed as a shell so that Siem could organize the space to meet his needs. 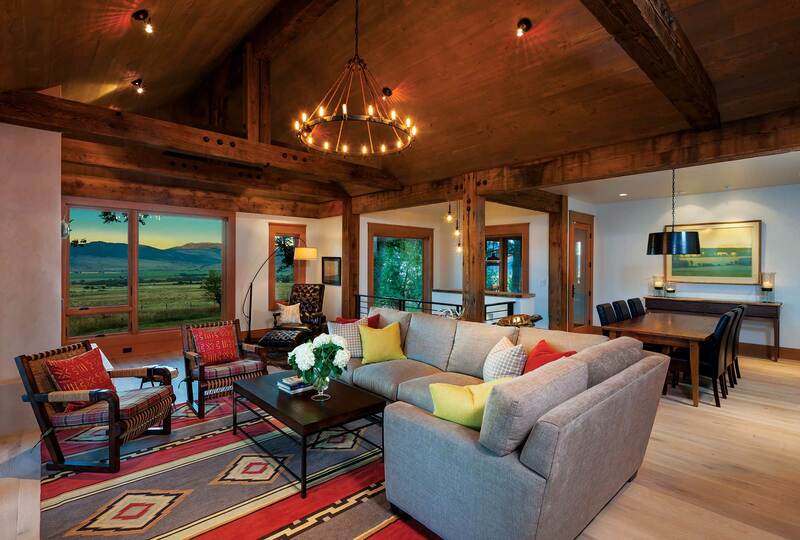 Contemporary touches were incorporated into the former Montana farmhouse. Steel elements were added throughout the home, from the timber trusses in the great room to the steel handrails on the stairs and exterior patios. 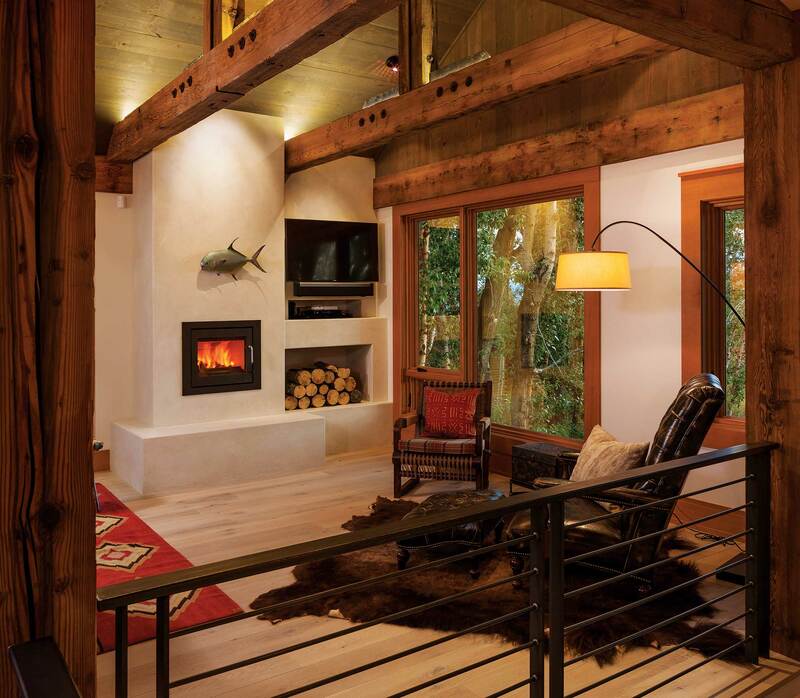 A lofted ceiling lends an open feel to the great room even while complementing the exterior views. The interiors were designed to be comfortable and contemporary. “What [interior designer Laura Fedro] does so well are the textures, combining the different fabrics and finishes,” said homeowner Diana Rudolph. 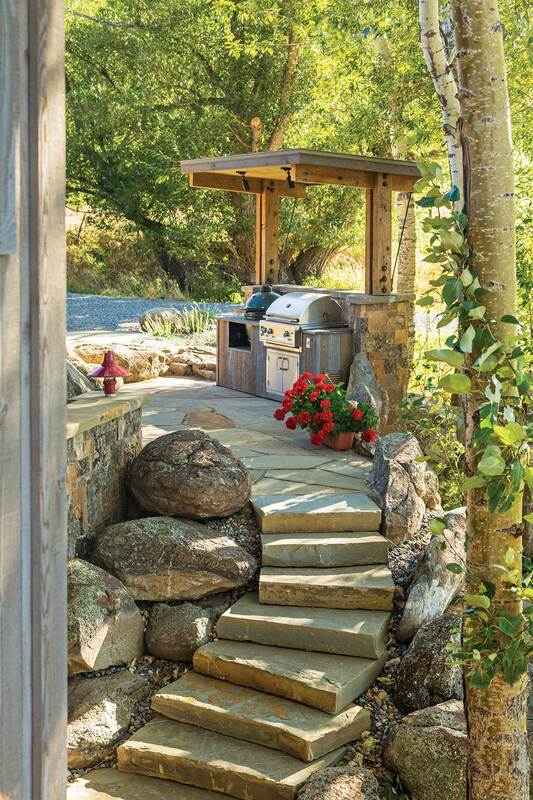 The homeowners wanted the outdoors to feel like a part of their home environment. A quick trip outside to cook dinner on the grill helps achieve this effect. The breakfast nook off the great room provides a cozy sitting area for informal meals or late-night games of Scrabble. 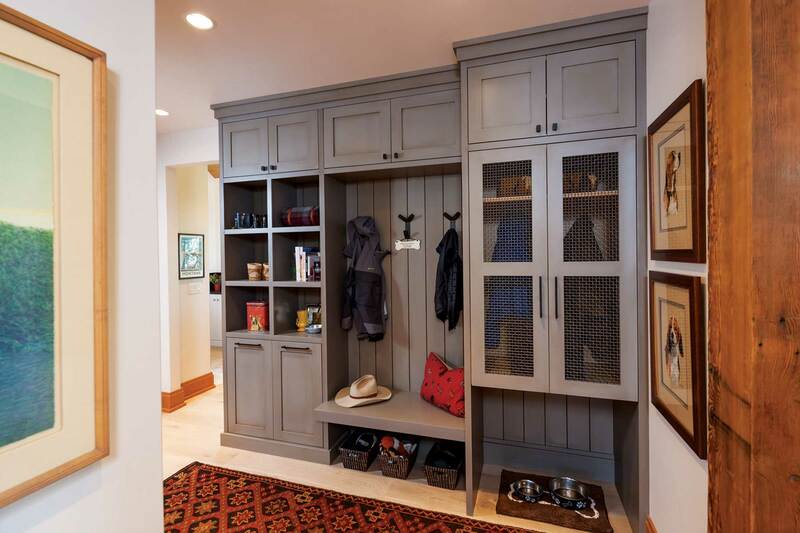 The mud room located off of the front entry does double duty as both hallway and storage space. Located off of the great room, a covered porch helps keep the mosquitos at bay even while allowing fresh air to circulate. The fireplace is made from soapstone, and rotates on an axis to more evenly distribute its heat. By way of paying homage to the former structure, the wood behind the bed in the master bedroom was sourced from the old farmhouse’s siding.